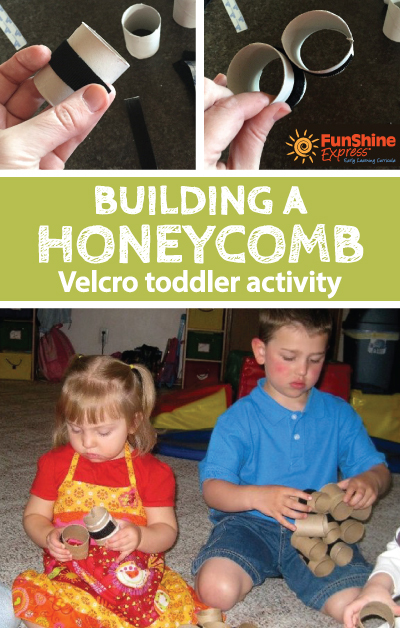 Our original activity Building a Honeycomb (link here) sparked one of our readers to ask how the activity might work for toddlers. We adapted the activity with Velcro strips for those not ready to use clothespins or paper clips. 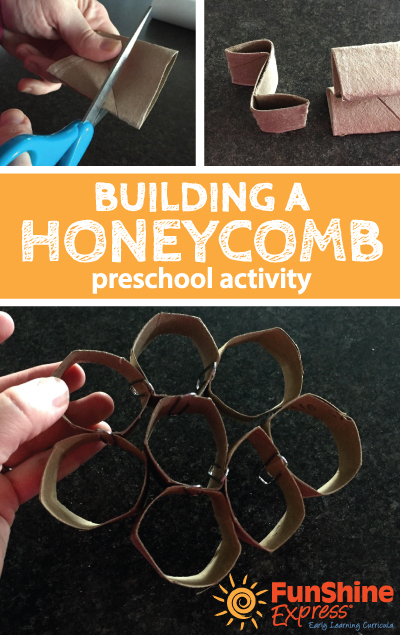 Cardboard rolls make great pretend honeycombs! Create a honeycomb using cardboard tubes and paper clips. Recap what a honeycomb looks like. A honeycomb is group of wax cells with six sides inside a beehive, used to store honey or protect baby bees. A six-sided shape is called a hexagon. Explain to the children that you will be making honeycombs using sections of cardboard tubing. Here is a step-by-step picture tutorial of how to complete the activity.